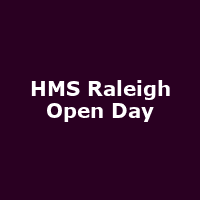 "HMS Raleigh, the Royal Navy's largest training establishment in the South West, will be open its gates to members of the public on Wednesday 1 August between noon and 5 pm. A free day out for all the family, the event will feature a range of displays and demonstrations showing the diverse training that is carried out at the base. Visitors will be able to find out how recruits are transformed from civilians into sailors in just 10 weeks and try their hand at some of the training. Members of the public will also be able to find out about the other training carried out at the base in South East Cornwall, from submarine operations to weapons training, logistics and fire-fighting."